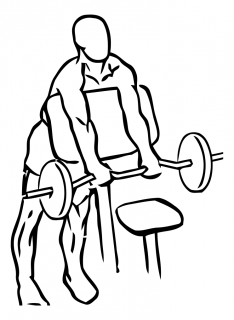 · Turn a Preacher Curl bench around so you are leaning against the angled side. · Grasp a barbell with palms up, approximately 6 inches apart. 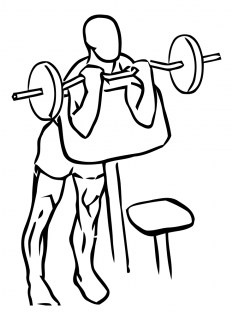 · Leaning against the bench, lower the bar along the flat side of the bench fully extending your arms. · Curl your arms up so your biceps are touching your forearms. · Slowly lower the bar to the starting position.